Thank you to all our local sponsors and partners. Here are a few festival specials to take advantage of when visiting The Woodlands during Inspire Film Festival 2018. 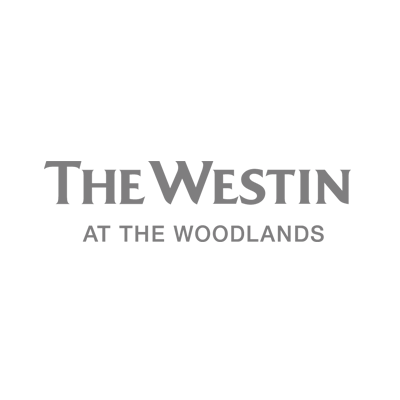 The Westin located in the heart of The Woodlands, is our official lodging location for our film guests. Pop into the Westin’s Current Restaurant or poolside SideBar, before and after the outdoor screenings on Thursday, Feb-15 in Waterway Square for exclusive IFF specials. Enjoy a staycation in The Woodlands and stay back for late night festival events. Embassy Suites is offering a special festival rate for all attendees during the Inspire Film Festival from Feb 15-19. Call them at 281-298-2900 and ask for the Inspire Film Festival rate. The Hilton Garden Inn on Six Pines is conveniently located close to all the Inspire Film Festival screening venues and is also offering a special rate for festival attendees. Call them at 281-364-9300 and ask for the festival special rate. Crush Wine Lounge is our official hospitality partner and post screening venue this year! They will be offering specially crafted film inspired cocktails and food specials throughout the festival. Stop by Crush in between screenings and throughout the festival to enjoy their festival specials. Market Street - The Woodlands offers a great mix of restaurants and retail stores which are in close proximity to our box office and all film screening locations. Stop by to check them out in between film screenings.